The sound of a balloon burst in a reverberant room and in a soundproof room. 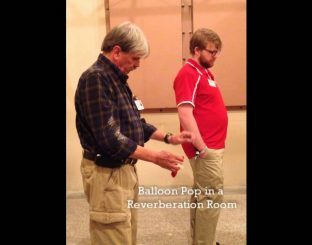 Man by popping the ball in a reverberant room, where acoustic field is perfectly diffuse. Then he did the same test in a deaf room or room anechoic, where the walls absorb sound waves. The sound difference is obvious! 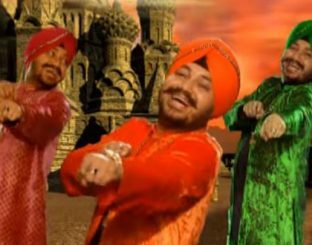 The "Tunak Tunak Tun" clip accelerates with each "Tunak"
The Indian clip of the song "Tunak Tunak Tun", interpreted by the pop singer bhangra Daler Mehndi, accelerates whenever the word "Tunak" is pronounced in the lyrics. As the piece progresses, the tempo is faster and faster until it becomes completely delirious. A video by BuzzFeed India.